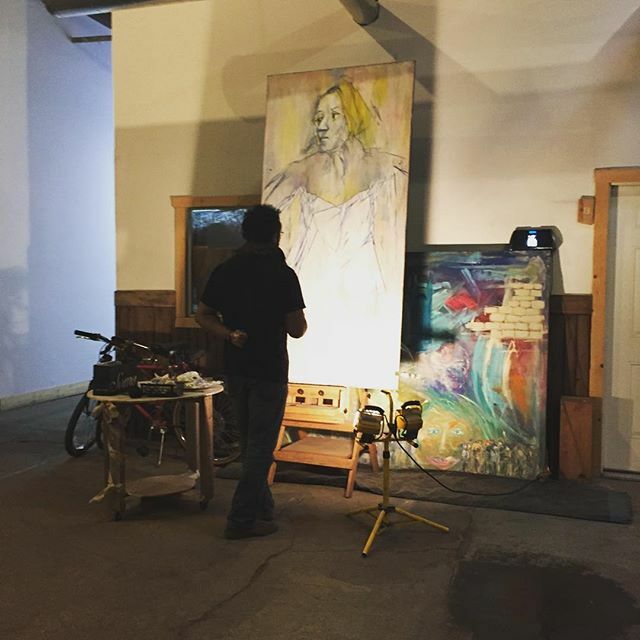 Artist Stephen Watkins has his studio down the hall from mine. It’s inspiring sharing a building with other artists. Here’s a familiar sight with Stephen. > : Banksy, age 7.